We arrived back in the UK from South Africa on Tuesday the 10th of September and by early Thursday morning I was back at the airport heading to Stuttgart for the annual Adidas Rockstars competition. This is a really fun event and I thoroughly enjoyed the climbing, meeting friends and, of course, meeting new people too. 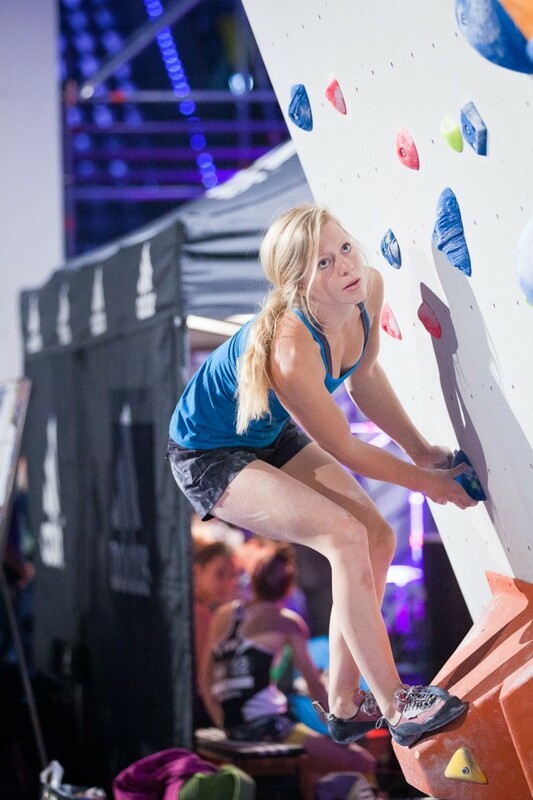 Last year I was fortunate enough to make finals and so this year I was a bit disappointed that I didn’t climb well in the semi finals but, after a summer on rock, I was sure to remind myself that my expectations shouldn’t be too high! In fact, looking on the bright side, it was just the kick I needed at this point in the year to spur me on in my training! Big well done to Shauna who climbed well as usual! So, the competition was done and some partying ensued. The next day was harder than usual as Shauna, Jon Cardwell, Florian from 5.10 and I headed to Nuremburg to do some filming to promote the new Team VXI shoe at Café Kraft. The Team VXI is an interesting development in 5.10’s repertoire. With all over MI6 rubber, the shoe is very soft and is amazing at toe hooking and smearing on textured walls and volumes. Straight away you can see how good it is for those things but I wasn’t initially sold on it for small edges –the shoe felt unsupportive and like it would pop on tiny footholds. Interestingly, this improved as I learnt to use the shoe and I actually think that as you use the shoe more, your foot will get stronger and compensate for the lack of support. If all you want to do on a climb is stand on small edges then perhaps a stiffer shoe is in order but if you want an all round shoe to combat any kind of footwork then this one is great, just be patient as your foot adapts. 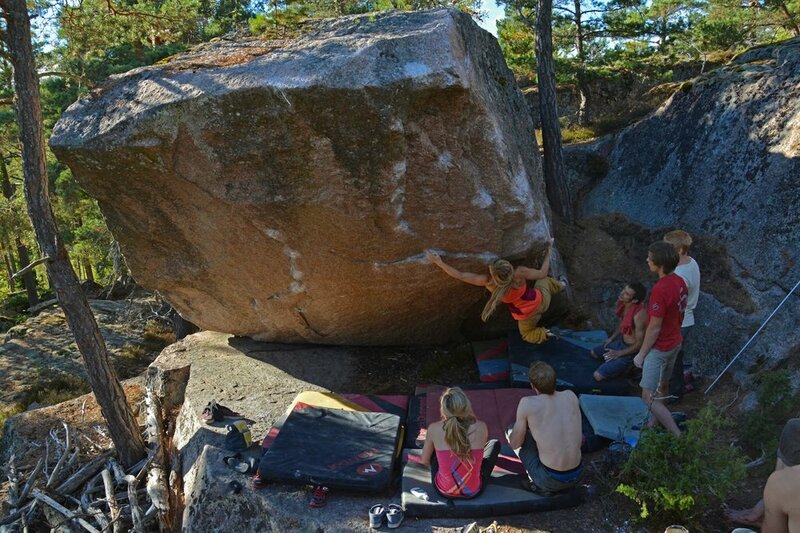 After some filming and climbing at Café Kraft, our next stop was Vastervik in Sweden. Shauna, Ned, Dave and I had been invited to the Bouldering meet this year and we were met with incredible hospitality and kindness from the climbers there. 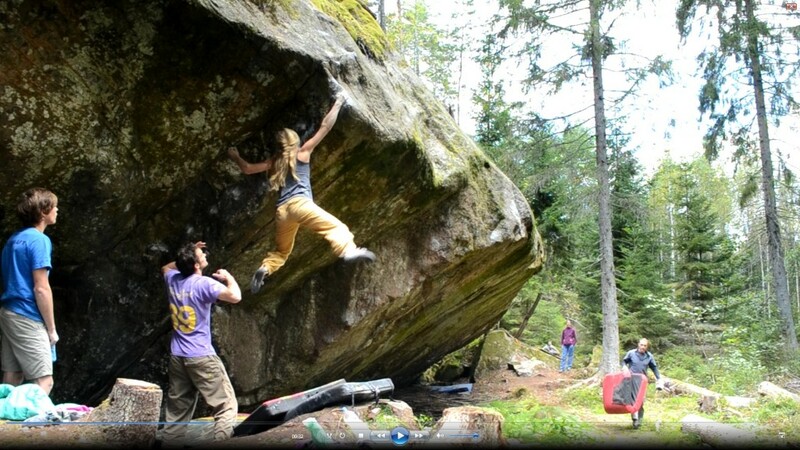 We were shown around some great bouldering areas and got to try some really cool lines. The granite is good quality and varied which means lots of types of boulders to keep busy on. I managed to climb some cool boulders that I was really pleased with. 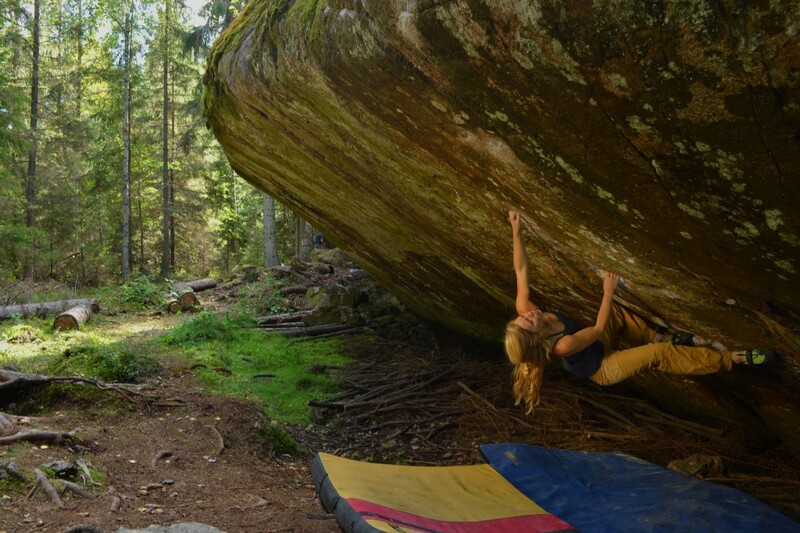 The festival was a great success, with climbing in the daytime and talks or films in the evening. The development in this area has been done by a handful of climbers and I have great admiration for their psyche and commitment – thank you for finding these boulders and inviting us to climb them with you! 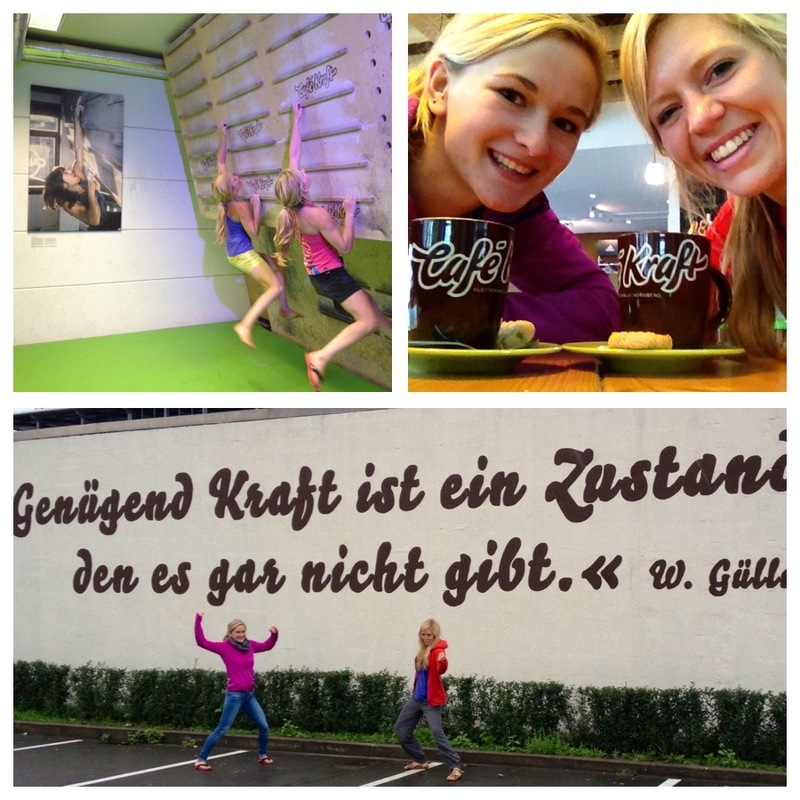 As I mentioned earlier, we were really looked after during our stay – even our rest day was amazing! 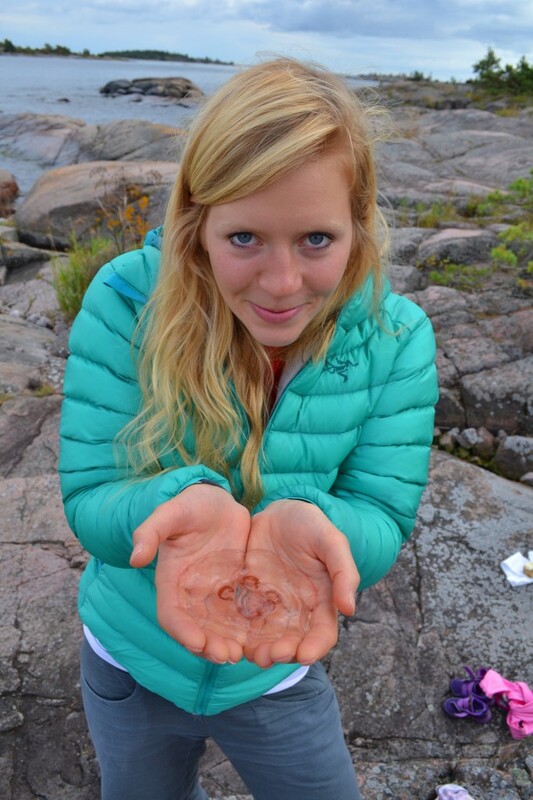 Jim arranged for us to take a boat out to one of the islands, where we had a picnic (Sanna had baked a yummy cake) and played with the jellyfish! 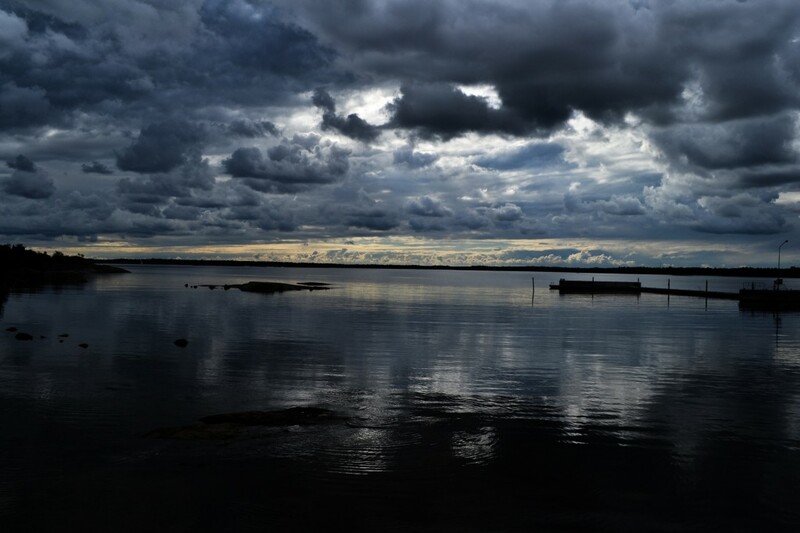 Then we had a cold dip in the sea followed by a sauna – I wish all my rest days were like that! We also ran a clinic at the local wall, which was great fun and hopefully all useful stuff for those that attended. A special thanks to Jim, Stefan, Sanna and Erik for making our trip so fun and memorable. Mina from stefan rasmussen on Vimeo.